DNA tests for PRA and colour etc. they are born in my bedroom and socialized in the living room. indoor only and not to be rehomed without my permission and approval. it must come back to me or be rehomed to an approved home. 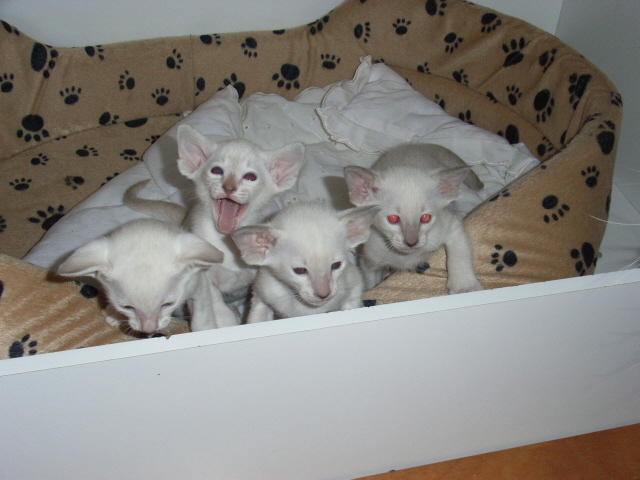 I am a breeder of Siamese and Oriental kittens and sometimes have pets and show kittens available for sale. I have been breeding for nearly 40 years and I am an all breeds judge with the Feline Control Council of Victoria Inc. The Frame Family have had many successes on the show bench over the years achieving many major awards and breeding Cat, Kitten and Neuter of the Year. 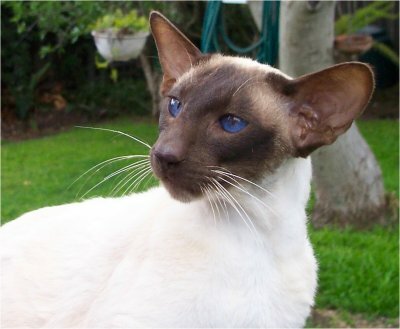 We joined the Feline Control Council of Victoria in 1977 and began showing Siamese as an interest for the children. We started with a Seal Point Neuter pet and later bought a Blue Torti Point as a friend for him. "Just one litter" was the plan; famous last words as 25 years later I am deeply involved in the Cat Fancy. We were introduced to Orientals in 1980 when we acquired a Chocolate Female for Mandy's birthday. A year later we introduced a Foreign White Female into our cattery. Our Queens live in the house and we have built an extension on the back of the house for the kittens and as a play area for the Queens and their babies. I like to keep the numbers of my breeding cats to between 6 and 10 allowing for one or two desexed cats and 3 stud cats. This allows for 2 or 3 breeding queens and maybe a couple of kittens to "run on". 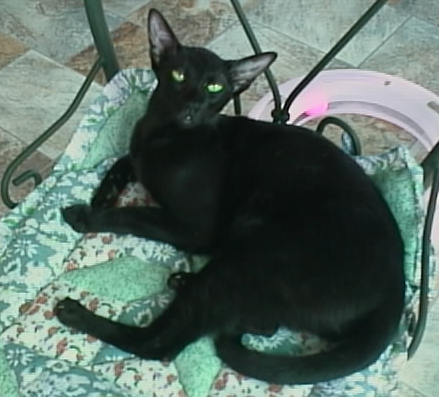 I have been registered with FCCV for many years, except for a short time when I was with the Democratic Cat Council in the late 1980's where, in 1989 with the help of family and friends, I formed the Sunshine Cat Club. When I rejoined the FCCV in 1990 this club, along with it's 30 members came with me. I have twice been Treasurer of the North Western All Breeds Cat Club. I was Treasurer of the now defunct Judges Association. In 2004 I became a fully qualified Group 1 judge. I qualified as a Gp 2 judge in 1993. If you have any questions please call Meryle, or send a message. You can also find more information on my website.